This is the one I'm thinking of getting. Going to the dealer in a few weeks to check it out. Looks sweet I don't think is going to seat at the dealer for long good luck. Guarantee he doesn't get one. Bets anyone? Super sweet car, but why? 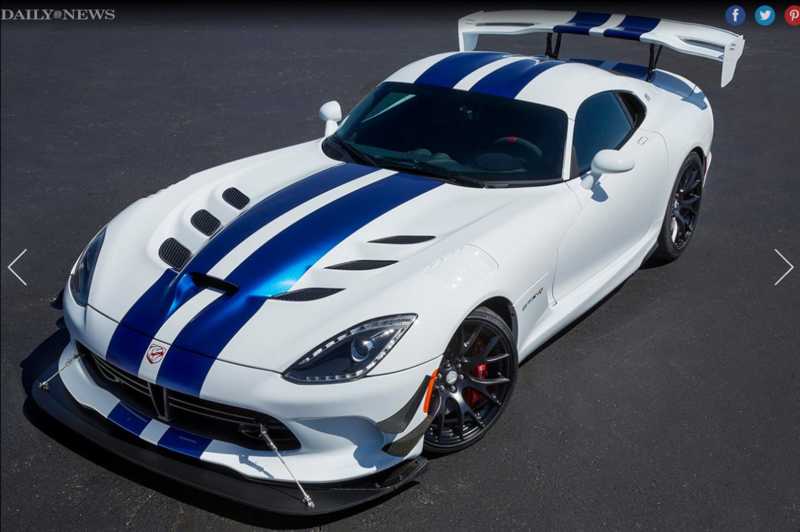 New 2015-2016's Vipers are selling for 90-110. At 145k, it's competing with beauties like the AMG GT S.
You do know what an ACR is right? First I have to see if I can fit in it. I heard it's rather tight. I'm 6'2, 230lbs with long leg inseam. I've read nearly every review online so I know what to expect. This would probably be driven 5k miles a year, maybe track it twice a year. But it's the last year and a Special Edition. This will not be a Museum or Garage Queen but will be kept in mint condition. I'll keep it till I die then give it to my son . Last edited by Tennis & Golf Nut; 02-02-2017 at 04:05 PM. I was considering a 2015 till I sat in one. Footwell so tight my 13's got tangled and I almost couldn't get out . Give it a try though, you might love it! May I ask how tall and how much you weigh? I'm 5'10 224. Its def a tight fit but puts a **** eatin grin every time I drive it. **** brother, I'm not worried about what your *** fits like in the drivers seat. My question is whether or not this *** will fit on the passenger side. Nice car. Don't wait a few weeks. It will be gone. I'm 6'1" 225, and fit fine in my Gen 2 GTS, which is tighter than my friend's new Acr. Get it, those are the limited run final edition gen V cars. I know the Viper will be back, only question is when. now dats what I call a sweet ***! but I'm pretty sure that option adds quite a bit to the overall operating costs.